Well, the USPS finally did something right, and put direct mail right back on the map in a big way. 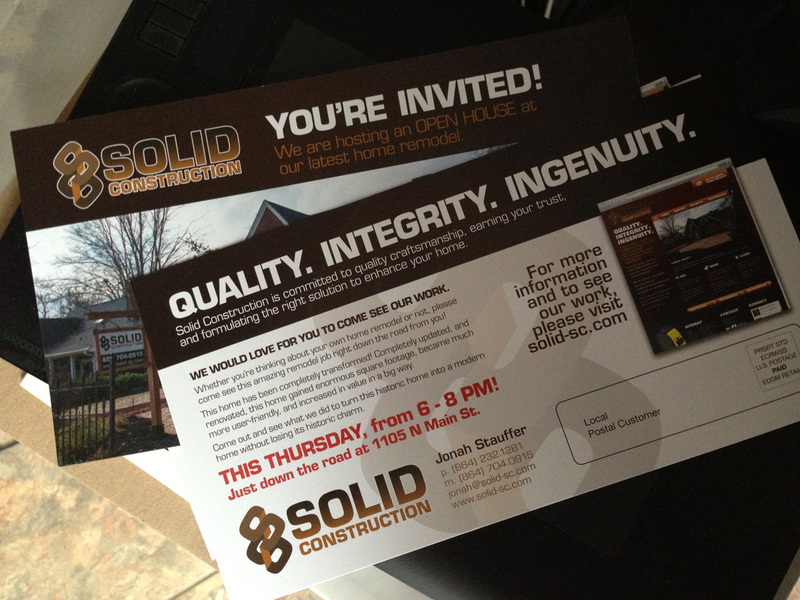 Solid Construction is having an open house tonight, and to let the whole neighborhood know, we sent out this postcard to all the houses in the area. Their Every Door Direct Mail was the perfect solution. We targeted the area with great precision and great value. So these large postcards landed on every doorstep in the area of the Open House this week. Not bad.